So this is one I’d completely forgot about. I won’t lie to you guys, my craft muse has been strangely absent the past few weeks. It’s probably this stage of the pregnancy: I’m pretty much tired all the time, and the constant napping doesn’t leave much room for creativity. That’s why this craft is genius. It’s super simple and doesn’t take very long – which means it doesn’t interrupt your nap schedule. Hooray! I also love it because you can wrap your puzzle in rubber bands and take it on the go with you. These are perfect for church or dentist offices. They keep your child quiet, and you can make these as difficult or easy as you like, which means they work for most ages. When we were little, we even made our own. 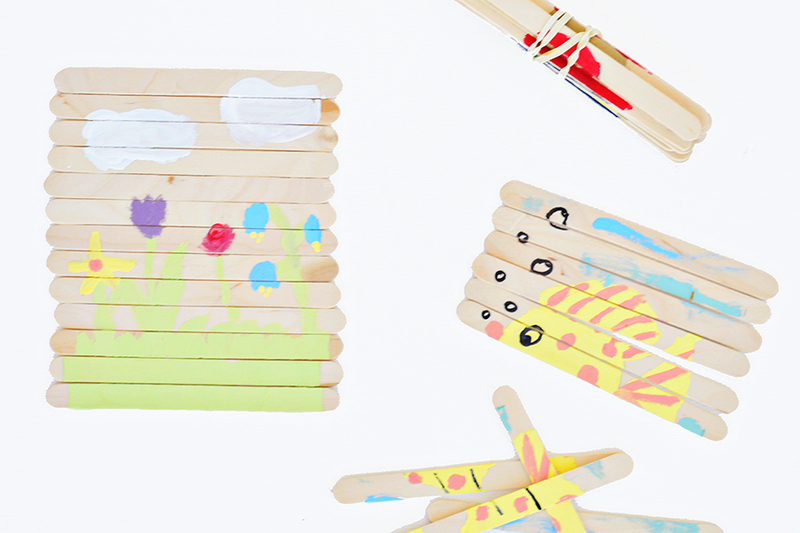 We’d tape the sticks down, then paint our own design and give them to each other to put together. 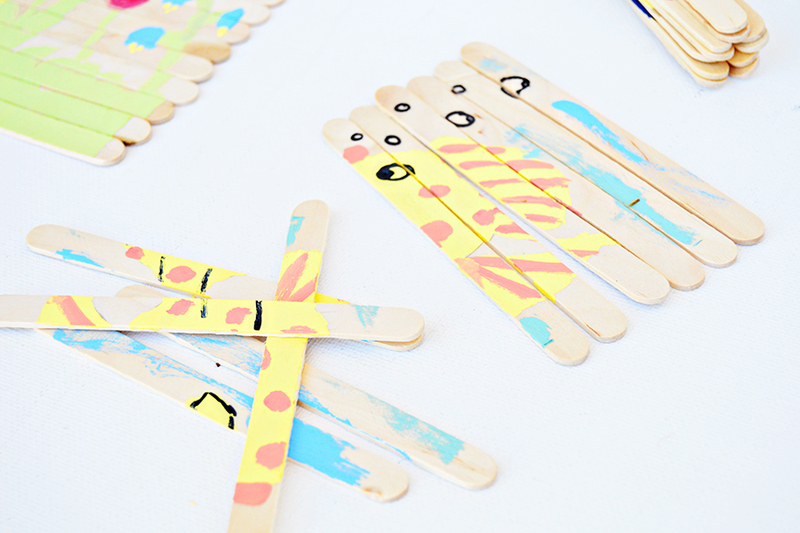 This is a great craft to get the kids involved with! 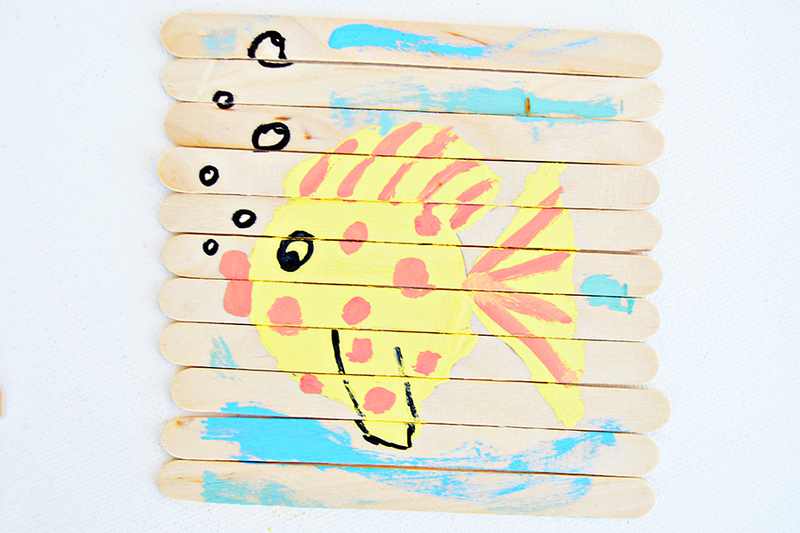 For this, you’ll need a sheet of paper, masking tape, 10-15 popsicle sticks, and paints. Start by lining your sticks up on the sheet of paper. I like to choose sticks that aren’t warped and don’t have giant knots that get in the way. 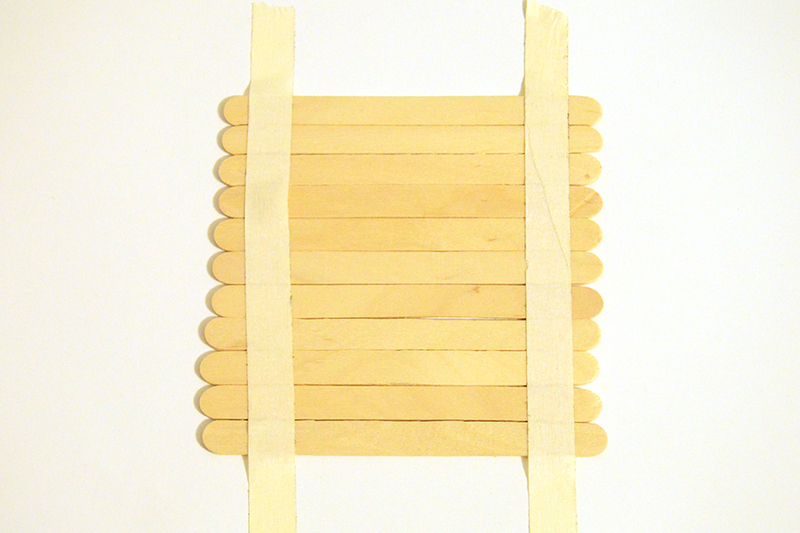 Use the masking tape to tape the sticks down so they don’t move while you’re painting. There’s really only one other step, and that is to paint. I do like to draw my design with a pencil first because I’m not that confident with a paintbrush, but feel free to trace, draw, or freehand anything you’d like! I traced a the bottom of a spice jar to get the fish’s body, then freehanded the rest. The bubbles and eye I did with a Sharpie. Once you’re puzzle is dry, feel free to break it apart, rubber band it up, and take it on the road with you. 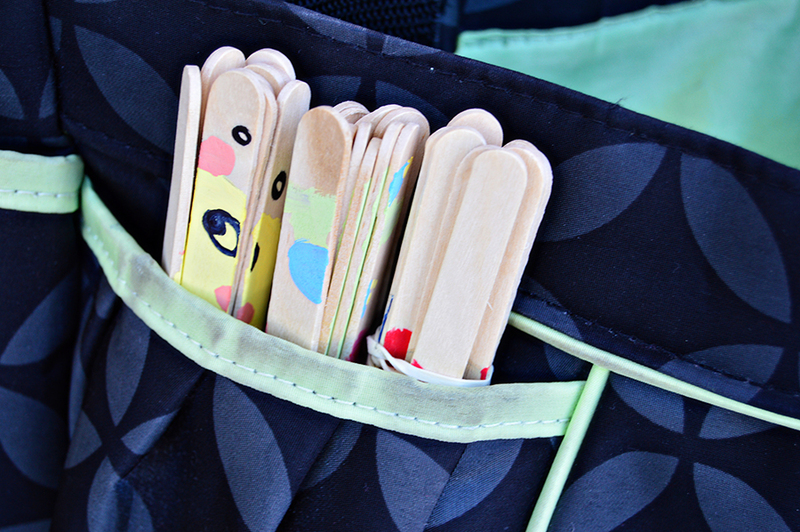 They fit perfectly in my diaper bag! What’s your favorite way to keep kids entertained? Leave a comment below and let us know!